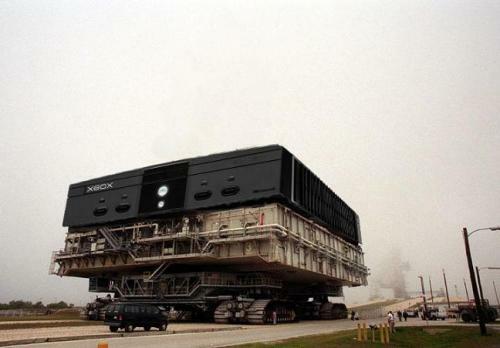 I’m kind of suprised the truck can hold the weight of the all mighty XBOX. I mean a house is one thing but come on, I think they are pushing it here. And the Saturn V before that, which I *think* (not sure) was heavier. Either way… it’s barely getting that Xbox along….